No trip to Vietnam is complete without arguably its most famous attraction; the UNESCO World Heritage Site of Ha Long Bay. This amazing tour will let you float across crystal clear waters while surrounded by amazing karst islands that burst into the sky. This day tour is perfect for travellers with limited time who still wants to experience the splendour of this world-famous destination, and features plenty of sightseeing, caves and floating villages, as well as a delicious sea-food lunch. 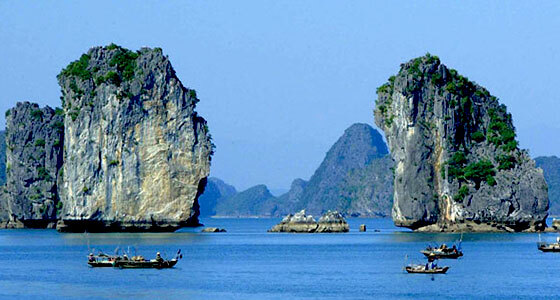 Destination: Ha Long bay, Quang Ninh, Vietnam. 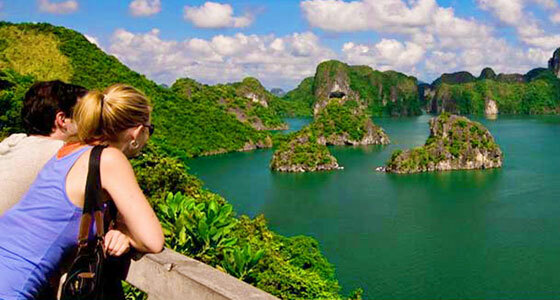 You’ll be collected at your hotel in Hanoi at 8am and begin your drive to the gateway of Ha Long Bay; Ha Long City. The drive will last for roughly 3,5 hours and features stunning views along the way, especially of the seemingly endless rice fields crawling with workers. 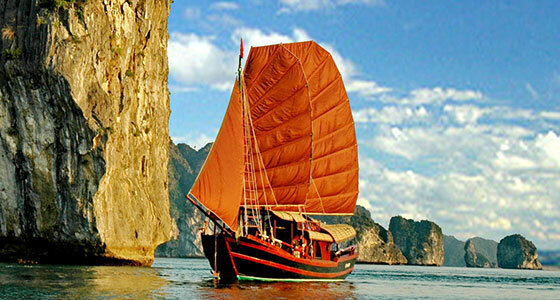 Upon arrival at the port, you’ll board a traditional junk and set sail around the stunning bay. You’ll enjoy a freshly cooked seafood lunch on-board before disembarking to visit Thien Cung Grotto. The cruise then continues to the southern part of the bay, where we will visit a floating fishing village and also have the opportunity to partake in some kayaking. Once this is done we’ll return to port where our driver will be waiting to take you back to Hanoi. - The above cruise itinerary is subject to change due to weather, tide levels and operating conditions without prior notice. Please get final information from our sales staff before your date of cruise. - Promotion might be applied, inclusions and exclusions might be change – you will be informed of changes upon booking.